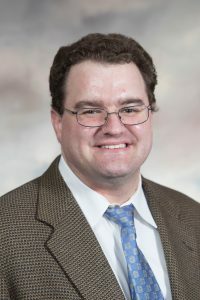 Home > Faculty and Staff > Faculty & Staff > Russ Krenek, Ph.D.
Dr. Krenek’s research interests lie at the interface of deterministic/stochastic operations research and advanced probability/statistics, with the aim of improving processes and systems. Dr. Krenek is especially interested in filling the research gaps by developing novel process improvement methods and by challenging fundamental assumptions in quality engineering. His research efforts are being expanded into complex manufacturing systems, pharmaceutical formations, and healthcare, particularly in personalized medicine. Dr. Krenek also has a keen interest in engineering education. Krenek R, Cha J., Cho, B.R. and Sharp J. L. (2017) “Development of statistical convolutions of truncated normal and truncated skew normal distributions with applications,” Journal of Statistical Theory and Practice, Vol. 11, No.1, pp.1–25. Krenek, R., Cha J. and Cho, B.R. (2016) “Development of the convolutions of truncated normal random variables with three different quality characteristics in engineering applications,” Computers and Industrial Engineering, Vol. 94, pp.125–137. Krenek, R. and Cho, B.R. (2015) “The expanded DPMO interface for capturing the compounding effect of process mean and variability as a new paradigm for process evaluation and improvement,” Int. J. Six Sigma and Competitive Advantage, Vol. 9, Nos. 2/3/4, pp.174–207. Krenek, R., Cha, J. and Cho, B.R. (2015) “Zipping and re-zipping methods to improve the precision and accuracy of manufacturing processes,” Int. J. Experimental Design and Process Optimisation, Vol. 4, Nos. 3/4, pp.256–289.